Whether your outdoor space is big or small, a balcony or a full size garden, there’s lots of things that you can do with it to improve it. 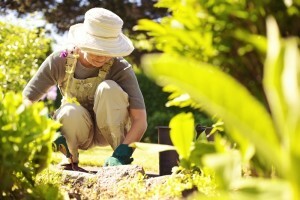 Follow these simple landscaping tips to make the most out of your garden. To make a shallow garden seem larger, use horizontal layers at different heights to create an illusion of depth. This could be low shrubs before a slightly higher fence, flower beds beyond the house or taller shrubs closer to the house. Butterflies are a pretty, natural addition to your garden. You can attract them by concentrating on using plants with long blooming cycles, such as hollyhocks and sunflowers or even blossoming weeds. In your outdoor space, use a variety of plants that will bloom all year round. For example, evergreens go unnoticed in the spring and summer, but in winter they will provide beautiful winter berries. In addition to this, use plants that create different ‘mini habitats’ such as woods style patches and sunny open areas. If you choose to plant from seed, it can be useful to keep a calendar to note which day you plant on and the day that seedlings first appear. It could also be helpful to note which days it rained and keep hold of your diary for several years so you can help to predict the weather conditions in your area. Fallen leaves can be a nuisance to get rid of. An easy trick is to sweep them all into a pile and blast them with your hose pipe. Once wet, they will clump together and not blow away, making them much easier to throw away. If you only have a small garden, or even a balcony which doesn’t allow for much planting, use planting boxes vertically. The result looks very creative and ensures you can enjoy your plants despite not having a lot of space. If you envisage a garden with a white picket fence, or a spacious decking area to host friends and family, hiring a landscaper can help you achieve this. At J&L landscapes, we specialise in all areas of landscaping, from fencing to decking as well as paving and patio restoration.